Un environnement de travail propre et sain contribue à maintenir un bon moral et réduit les jours de maladie. Nos experts du nettoyage vous permettent de faire revenir vos clients et d’obtenir des évaluations 5 étoiles. Une gestion optimale des risques d’infections passe par un entretien rigoureux de vos locaux. Un espace de travail propre contribue à la sécurité de tous, des bureaux à l’entrepôt. Maintenez la fidélité de vos clients avec des guichets et des bureaux irréprochables. Impressionnez vos supporters grâce à votre stade éclatant de propreté. Optimisez l’expérience des visiteurs et le moral de vos employés grâce à vos locaux parfaitement entretenus. Vendez et fidélisez plus avec des locaux impeccables. Donnez à votre Chef une cuisine saine et à vos clients une salle éclatante. 10/10 pour la propreté, vos étudiants ne voudront plus rater d’heures de cours. I believe Jani-King is best of class. Jani-King is our first line of defense. It’s important that we look and feel professional. 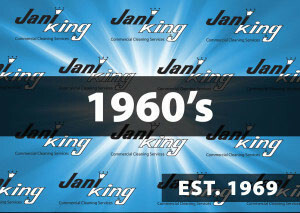 In 1968, Jani-King’s founder began marketing janitorial services during the day then servicing those clients at night. Less than a year later, in 1969, he established Jani-King and began pioneering the concept that has kept the company at the top of its industry. From its humble beginnings to today’s status as the world’s largest commercial cleaning franchise company, the Jani-King empire was built on hard work and the realization that a world of opportunity existed for a commercial cleaning franchising company. During the early 1970s, Jani-King became a franchise company unlike any other. 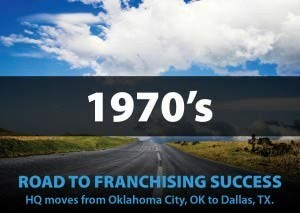 In 1974, the company began applying it’s winning franchise concept— a concept in which Jani-King obtains commercial cleaning accounts and offers the Franchisee an initial customer base to service. In 1976, as the company grew, Jani-King moved it’s headquarters from Oklahoma to Dallas, Texas. Jani-King’s steady domestic growth blossomed into an international success story in 1986 when Canada became the first international Master Franchise. Less than a year later, Entrepreneur magazine ranked Jani-King as the #1 Commercial Cleaning Franchisor for the first time, an honor bestowed upon Jani-King 19 out of the last 20 years. 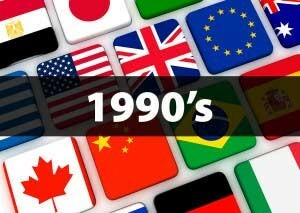 The decade of the nineties was a time of exceptional growth for Jani-King, both nationally and internationally. 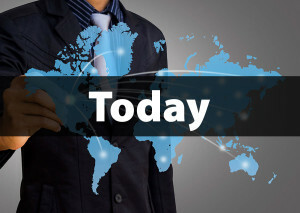 The company sold its 5,000th franchise and expanded into Argentina, Australia, Brazil, France, Great Britain, Hong Kong, Malaysia, Mexico, New Zealand, Singapore, South Korea, Spain, Taiwan, and Turkey. In 1998, Entrepreneur magazine ranked Jani-King the No. 1 Maintenance Franchise and the No. 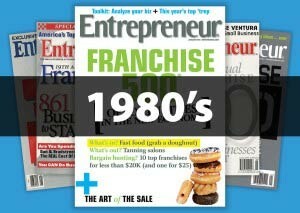 1 International Franchise in its Top 200 list. With the turning of the new millennium, Jani-King never wavered and continued on its path ahead of the competition. New international regions were added, new U.S. regional offices opened their doors and the company further established its position as an industry expert through partnerships with many of the world’s most prestigious brands. From motorsports to golf, from the minor leagues to the pro’s, Jani-King created enormous brand recognition by not only cleaning stadiums and arenas, but by using those partnerships as a platform for reaching fans and customers. Today, there are more than 9,000 authorized franchisees in the Jani-King system and more than 120 regional offices in 14 countries. As the global leader in franchised commercial cleaning services, Jani-King’s success is the result of a tradition of leadership in business development, business operations and customer service. Jani-King continues to provide exceptional service to tens of thousands of customers everyday while enhancing its reputation as the global leader for commercial cleaning franchise opportunities.